Going into this experience with determination, flexibility, and an open mind, I hoped to have an enjoyable experience playing Final Fantasy VII again. Or perhaps more appropriately, really playing it for the first time. I made up my mind not to rush things, and to take my time with getting as much as possible. I was not going for a perfect game, and I cannot even conceive of the hours required for such an endeavor, not to mention that I see no fun in that at all. Nevertheless, I tried to do as many of the optional parts as possible. The first parts of the game in Midgar felt a bit slow. Not sure if I was really enjoying it there through all of it. Maybe it's because I had seen those parts more than others, with them being at the beginning and easy to get to. Getting out of Midgar was actually a little exciting though, and I had Nikki there with me watching most of those scenes. Afterward, I felt a little relief when I hit the world map, and events progressed a bit more smoothly. 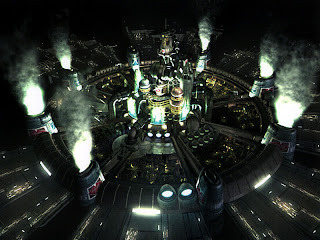 I admit to having spent a little time with the Midgar Zolom to get Beta, which was a challenge this early in the game. Therefrom our quest for Sephiroth picked up the pace, and we continued past Junon Harbor and onto the other continent. The occasional Fort Condor battles did get a little annoying, but I continued on towards the Gold Saucer. That's when I lost a little bit of interest. I wanted to do two things. 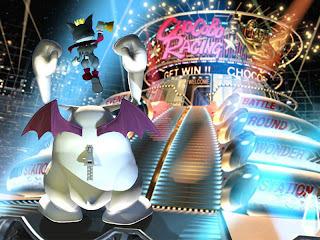 One, get the lifetime pass to Gold Saucer, and two, win enough battles at the Battle Square to get the Championship Belt. At that point in the game, getting that much gil takes some time, but I did it anyway. The bigger hurdle was getting enough GP at the tedious Wonder Square to fight enough battles at the Battle Square. All of which is of course intended to gain the required Battle Points for the materia and Championship Belt. Seems awfully roundabout, and because of this tediousness I stopped playing for a little while. Eventually I just bit the bullet and played enough basketball to win a bunch of GP and do all the rest. Finally I was free to move on, and I continued the quest toward the latter portions of Disc 1. Before that, however, there was still Cosmo Canyon. 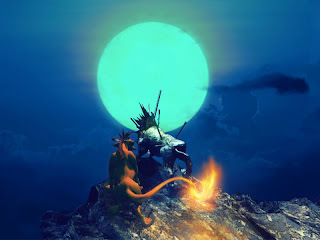 One of the more interesting areas of FFVII, the story elements there develop Red XIII's character rather well, and the scene in the Cave of the Gi was excellent. Though I might have personal difficulties in relating with father/son relationships, the scene between Red and his petrified father, Seto, was very moving. Even in it's relatively low tech presentation, the emotional elements of the scene were still conveyed very effectively, I thought. The overall plot arc of Red XIII and the misconceptions around his father's departure did however strike a chord with me, and finding out the truth served as good incentive in that side story.